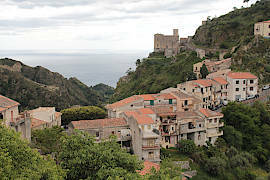 Don't know your Tuscany from your Calabria? 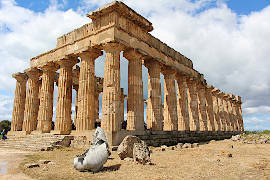 Visit the majestic ruins of Selinunte, an ancient settlement. 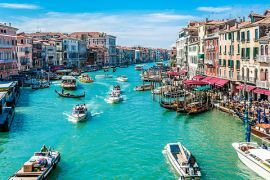 Italy is perhaps the most culturally rich country in Europe, and a visit offers one of the most attractive and varied experiences in Europe, perhaps the world. It is the combination of historically remarkable landmarks and towns, small medieval villages untouched by modern life, and the great diversity of landscapes that make Italy such an interesting destination - but don't forget to spend time absorbing the Italian way of life during your visit. From the capital Rome and the extraordinary ancient monuments (the Ancient Roman empire, older Etruscan sites, the Nuraghe monuments of Sardinia...) to the high Alpine mountains, from the dramatic coastlines of the islands of Sardinia and Sicily to the beauty of the Amalfi Coast and the hill villages of Umbria and the Marches, there are a myriad of discoveries to be made in many regions of Italy - some already well-trodden by visitors, others less well known. The promenade in the early evening, or sitting in front of a cafe as vespas whizz past carrying teenagers to romantic encounters, are an equally important aspect of Italy. 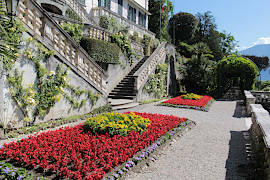 Similarly the culinary heritage of Italy is an important part of your trip, with many delicious regional specialties to enjoy as you travel around (when possible we have included recommendations for local food and wine to enjoy for the places in Italy reviewed in this travel guide). To start finding places to visit in Italy simply choose a region (from the main menu) or, if your geography is a litle rusty, use our map of Italy. 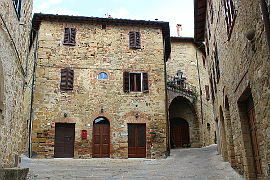 See also the 'most beautiful villages of Italy' and the towns and villages that have received the Italian Orange Flag award for sustainable tourism. 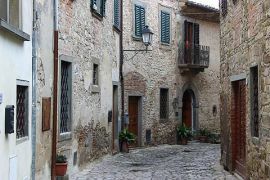 One suggestion when you are planning your trip: before rushing headlong to see the 'major' sites of Tuscany or Lake Garda, or the beaches of Sardinia, take a look at some of the less visited regions of Italy - many have a great deal to discover even if the tour buses haven't yet discovered them! 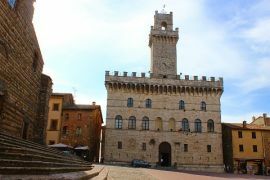 You may also like to see our features that look at the history of Italy through the history of its towns and settlements, and are a fascinating addition to your travel planning - see history of Italy or visit the individual travel guides for the Italian towns. Italy This Way is part of the Europe This Way group - visit Europe This Way for more travel sites and destinations across Europe including France and England.